1st row (l to r). Bev Vonnahme-Treasurer, Ruth Steinkamp-Financial Secretary, Rosie Obman-proxy for Joan Bernholtz-Secretary and Joan Danzer-Regent. 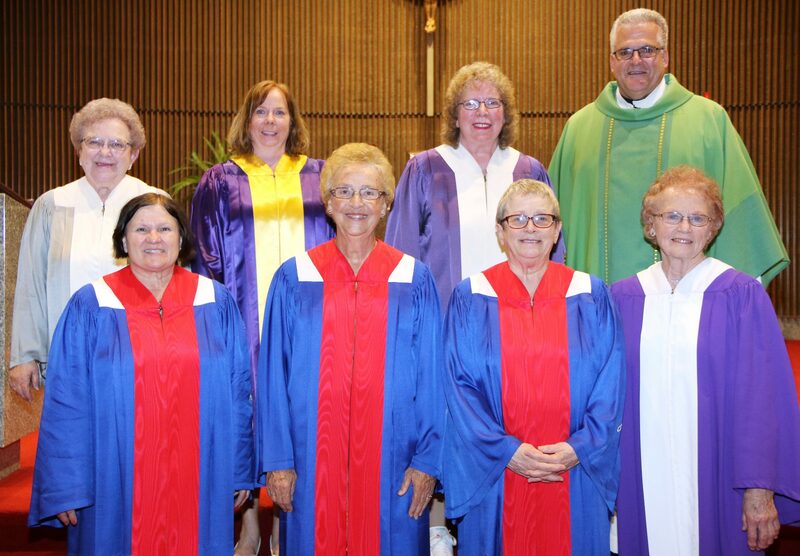 2nd row (l to r) Lavonne Anthofer-ceremony coordinator, Rita Carlson, Sue Greving-Vice Regent and Father Kevin Richter-pastor St Pope John Paul II Church. Court installs new officers – Fall 2018 Share Magazine. 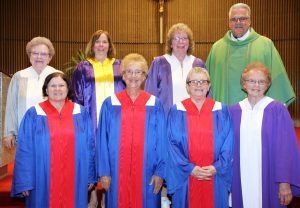 Court welcomes new members. Spring 2018 Share Magazine.